Ann Arbor iPhone Repair is a mobile repair company operating in the Ann Arbor region. We meet our customers wherever is most convenient for them; either at their home, office or nearest cafe. iCracked is like Uber, but your your iPhone. With iCracked you can submit a repair request at iCracked.com and a local technician will contact you to provide a quote and schedule an appointment to come meet you. Our technicians are iCracked certified licensee offer premium screens, service and iCracked quality. Simply fill out a repair request online or call/text and we can come to you and fix your device in front of you with a warranty and guarantee. We have been repairing iPhones, iPads and iPods for over three years and started this franchise to help local University of Michigan students and surrounding areas. Ann Arbor iPhone Repair is a local iPhone repair franchise that specializes in the professional repair of iPhones. 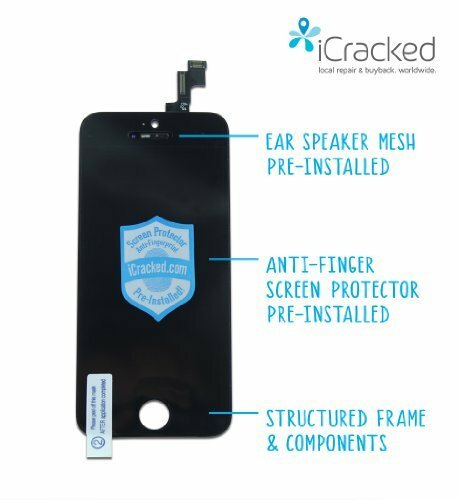 This mobile repair company operates as an iCracked affiliate because we travel to almost all of the repairs to fix the devices in person. Our technicians will come to you at your convenience & fix any problem with your iOS device. Our most common repair is a screen replacement for the iPhone. The cost of repair depends on the type of device and level of damage. Screen replacements for iPhones range from $65-$150. All of our repairs come with a lifetime warranty. The most common repairs are iPhone cracked or broken screen replacements, We will replace the cracked glass with a full assembly that includes new glass, digitizer & LCD.